Top-tier specs and excellent battery life. Its second menu for the curved display adds some useful shortcuts. One of the most expensive handsets on the market, the Edge+'s usefulness doesn't live up to its sky-high price. Fans of removable batteries and microSD card slots will be disappointed that this has neither. 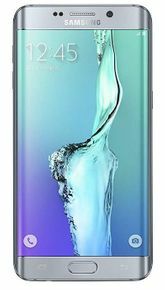 The Galaxy S6 edge plus is a terrific phone — one of the best out there, but especially when taking into consideration the Galaxy Note 5, with nearly identical specifications and the much more useful S Pen, not many would argue that the edge+ is the practical choice, and even fewer will be so confident in that assertion as to shell out the extra cash for one. But that doesn’t mean nobody should buy one. Best mobile phone with some disadvantage ! In case of s6 edge plus , the phone packs a lot of features and a larger display from older one. It do not have dual sim or memory card soppourt but when the phone is rated for design it scores 10/10.s6 edge is a premium device having 4 gigabytes of ram. And just now it's the best from Samsung.